mon petit lyons: Happy Hannukah, Merry Christmas! Well, I'm a little late with this post, but I wanted to share some photos! First up are the photos of the last minute holiday makes. 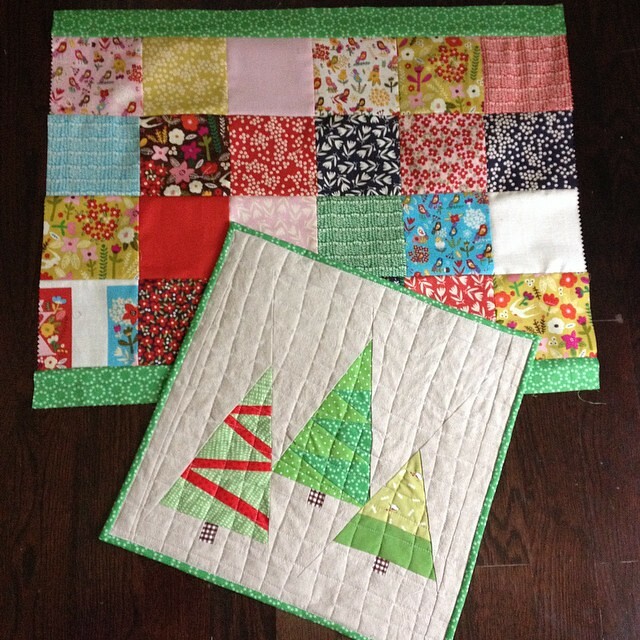 First up is a pillow pair I made for my parents to coordinate with the Christmas Quilt I made them. 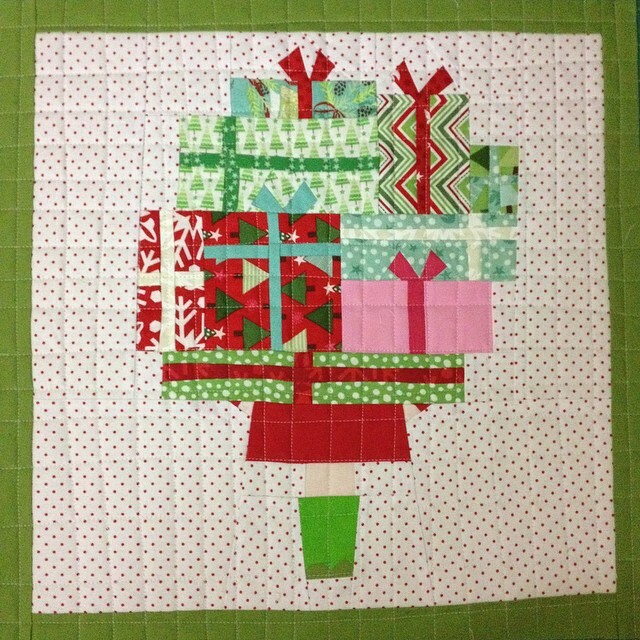 These amazing paper pieced blocks are part of the Last Minute Christmas Sampler. 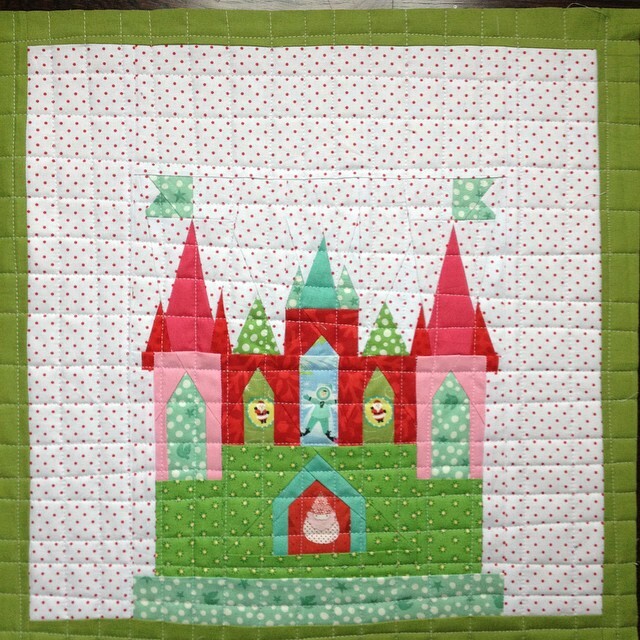 I would love to try some more blocks soon, Julianna is amazing! Since I had some time left I decided to try another block for my brother and his new fiance. At this point it was Christmas Eve morning and I had this beautiful Carolyn Gavin charm pack that my friend Christina sent me. Since Andrew had taken the boys to Target I decided to see if I could make a quilt/mat for the dog, Bettis. 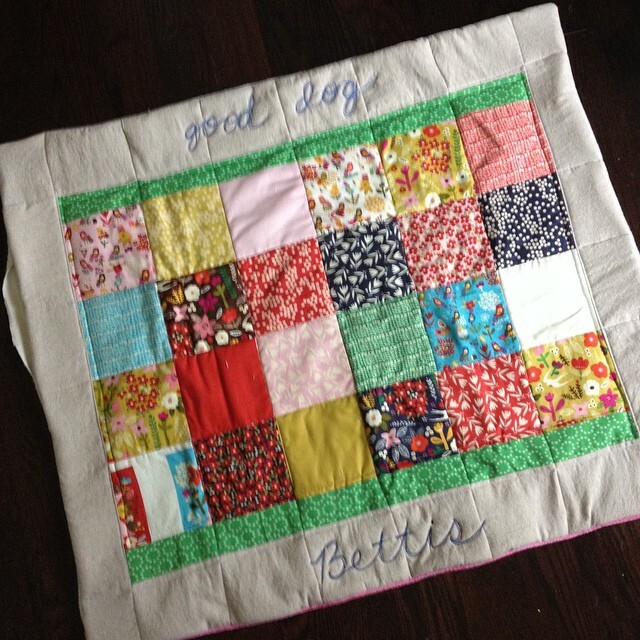 I really had fun using my free motion foot to write "good dog, Bettis" and I did hand sew that opening closed. He loves his mat, I am happy to report. Here are some shots of the boys with their Santa presents. The big boys only asked for Pokemon cards (well, Will is still into Lego's, obviously) and Sean's favorite right now is Daniel Tiger. 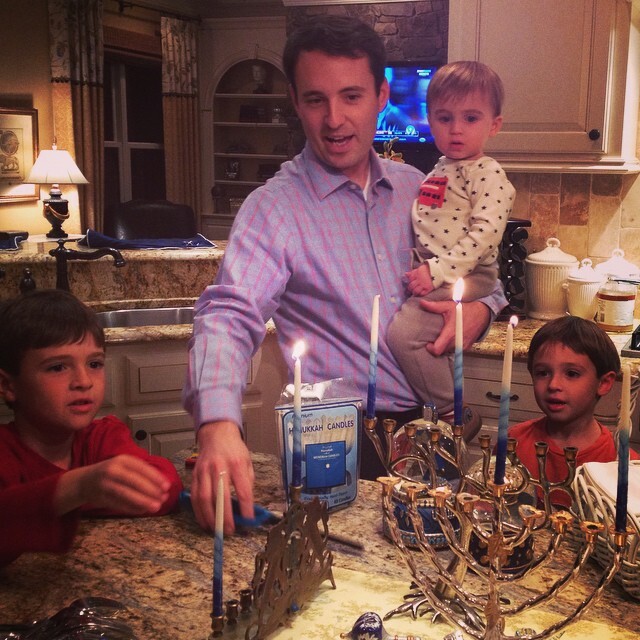 I love this picture of my boys lighting the menorah at my in-laws' house from the first night of Hannukah. And while I was looking through photos I saw this cutie that Andrew captured of Sean and the dog. I hope you all had a lovely holiday, whatever you celebrate, and are still enjoying the quiet after the commotion. I love this week after Christmas. Hopefully, I'll post again before the new year, but if not, all the best to you and yours. May 2015 be filled to the brim with love, laughter and beauty! I love Julianna's patterns too but saw the quilt along too late. You did a beautiful job on the pillows. It looks like the boys enjoyed all the Christmas and Hanukkah celebrations. Happy new year. Wonderful post..beautiful pillows, beautiful boys, beautiful you!! Happy Holidays, Courtney! What a lucky dog ;), the quilting especially! Hugs!